Free Breakfast Scheme For Children Under B40 Families, Says Dr Maszlee! Since our ministers are accompanying our Prime Minister, Tun Dr Mahathir, on a trip to Japan to see how they can help improving Malaysia in many sorts of ways, it seems there’s one way that will truly help students in this pacific group. The Ministry of Education will look into providing free nutritious breakfast for children from families in the B40 group says Education Minister, Datuk Dr Maszlee Malik! According to NST, Dr Maszlee who is in Japan with Tun M for a three-day visit said he came up with the breakfast scheme following a visit to the Itabashi Daiichi Elementary School, in Itabashi-ku, Tokyo, on 5 Nov. The ministry, he said, also planned to train the culture of cleanliness and discipline among students since kindergarten. 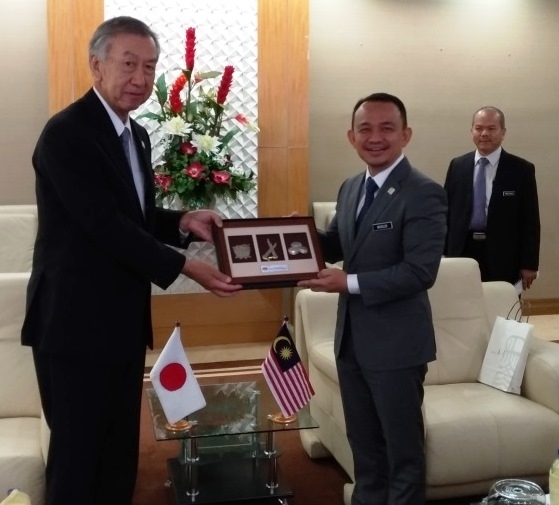 On his meeting with Japanese Minister of Education, Culture, Science and Technology, Masahiko Shibayama, Maszlee said their discussion touched on setting up branch campuses in Malaysia by three Japanese learning institutions. They are University of Tsukuba, Nippon Designers School and Ritsumeikan Asia Pacific University, he added. He said if everything goes as plan, the Malaysia branch campus for the Nippon Designers School would begin operation in 2019 while that of University of Tsukuba to begin in 2020. Isn’t this a good idea for middle-class families? Let us know your thoughts about this idea in the comment section at our FB page.